Benedict Cumberbatch portrays Shakespeare character Hamlet in the play of the same name, screening at Paramount on Saturday. Saturday, Feb. 20 at 2 p.m. — RUTLAND — Live in HD From the National Theatre of Great Britain has returned to the big screen at the Paramount Theatre for a five-play season that begin Feb. 6 with “The Audience.” Continuing this Saturday, Feb. 20 is “Hamlet” written by William Shakespeare, starring Benedict Cumberbatch, directed by Lindsey Turner. 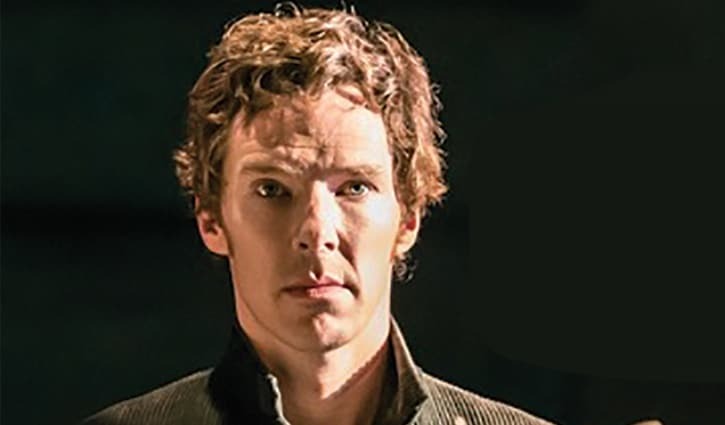 Academy Award® nominee Benedict Cumberbatch (BBC’s “Sherlock,” “The Imitation Game,” “Frankenstein” at the National Theatre) takes on the title role of Shakespeare’s great tragedy. All five plays are being presented as “encore broadcasts” (previously recorded), featuring some of the world’s most notable theatre institutions and artists. Broadcasts are being shown on Saturdays at 2 p.m. with doors open for seating at 1:30 p.m.
Tickets, $20, are general admission and are available in advance at the Box Office located at 30 Center Street in downtown Rutland, by phoning the venue Box Office at 802-775-0903, online at www.ParamountVT.org or at the door on the day of the screening.